There’s no way to sugarcoat it, last night’s loss was devasting for the Florida State Seminoles men’s basketball team. The March Madness run is over and the seniors, Terance Mann, Phil Cofer, Christ Koumadje, PJ Savoy, and David Nichols, that helped turn this program around are moving on. It’s especially unfortunate that Cofer and Nichols had to end their time in garnet and gold on the sidelines. You know they would’ve given anything to be out on that floor with their guys. It’s a painful moment. Not just because we won’t have FSU basketball for seven months, but because we’ll never get to see this team take the court together again. Leonard Hamilton is losing a ton of talent, leadership, and character with this departing group of seniors, that doesn’t include Mfiondu Kabengele, who could turn pro following an outstanding redshirt sophomore season. However, I don’t think it’s too far-fetched to say that this team could get back to the Sweet Sixteen for the third straight year in 2020. Barring any transfers or NBA declarations, the ‘Noles are projected to return seven scholarship players, Kabengele, Trent Forrest, MJ Walker, Devin Vassell, RaiQuan Gray, Anthony Polite, and Wyatt Wilkes, who saw time in 2019 as well as transfer forward Malik Osborne, who redshirted last season due to the NCAA’s transfer rules. Though this team graduates five of its top eight leading scorers, it does return three of the top four in Kabengele (12.9 PPG), Forrest (9.3 PPG), and Walker (7.5 PPG). Expect Kabengele and Forrest to both man even bigger roles next year as they take on more of the offensive load for this team. I wouldn’t put it out of the question for Kabengele to average around 20 points per game. Forrest, if healthy, is going to have a career year if he can develop any kind of an outside shot. As for Walker, he needs to spend this offseason honing in on his offense. He scored just 30 points over the final six games and at times, Walker simply couldn’t buy a bucket. The former five-star prospect seems to have two moves, firing off balanced triples and wildly attacking the basket. With a little more control to his game, Walker might finally be able to live up to that McDonald’s All-American status. Gray, Vassell, Polite, and Wilkes were mostly end of the rotation type players at the start of the season, by the end of it, all four players had seen crucial time during the NCAA Tournament that should benefit each of them moving forward. Gray still needs to drop a few pounds but he has the potential to develop into a do-it-all type of big. He can handle the ball, pass it, shoot from deep, and finish inside. The former four-star prospect made the first three starts of his career during the big dance and responded with a career-high 11 points against Vermont. Vassell could blossom into a star by the time it’s all said and done for him at Florida State. The true freshman guard has a sweet stroke and he was continuously a bright spot during his minutes off the bench all year. He even saved the Seminoles in the ACC Tournament with a ferocious stretch against Virginia Tech. Vassell needs to continue working on his frame but he’s on a good track right now. The jury is still out on Polite and Wilkes. Polite saw just two games in conference play where he played double-digit minutes while Wilkes didn’t play 10 minutes all year until a stint against Murray State. Polite is a solid defender but he needs to continue working on being consistent offensively. Wilkes was stuck in a log-jam for minutes through 2019 as a tweener. He’s kind of in between being a guard and a forward. I like him with the ball in his hands but in more of a distributor role. He’s an excellent passer. Moving onto Osborne, look for him to be in FSU’s frontcourt rotation. The Rice transfer is another do it all big who could help this team be dangerous with his multi-faceted skill set. I think it’s a huge advantage for Hamilton to have three interchangeable bigs that can score, rebound, defend, and run the floor. Moving onto newcomers, Florida State currently has four prospects signed and one verbally committed in the 2019 class, which slots in at No. 15 in the country. The class is highlighted by top-100 prospects Patrick Williams and Balsa Koprivica. Williams might be a starter from day one. He reminds me of a recent former ‘Nole in Dwayne Bacon. He’s aggressive, athletic, and can score all over the floor. He averaged 22.1 points, 9 rebounds, 3.1 assists, 1.9 steals, and 2.8 blocks per game on 44% shooting from deep as a senior. Koprivica can instantly contribute on the inside with his scoring touch around the basket. He can score from up to 15 feet out but Koprivica needs to continue to work on his motor and consistency. The class is rounded out by three-star center Naheem McLeod, three-star forward Zimife Nwokeji, and two-star JUCO guard Nathanael Jack. McLeod is a developmental type of prospect, standing at 7-foot-4 and 230 pounds, who could use a redshirt year learning the big man secrets from Stan Jones, who has worked magic time and time again with raw centers. Nwokeji and Jack are both sort of unknowns. Nwokeji might wind up at prep school next season and Jack could be released from his letter of intent. It’s all a waiting game right now. Regardless, the future is bright for Florida State basketball. 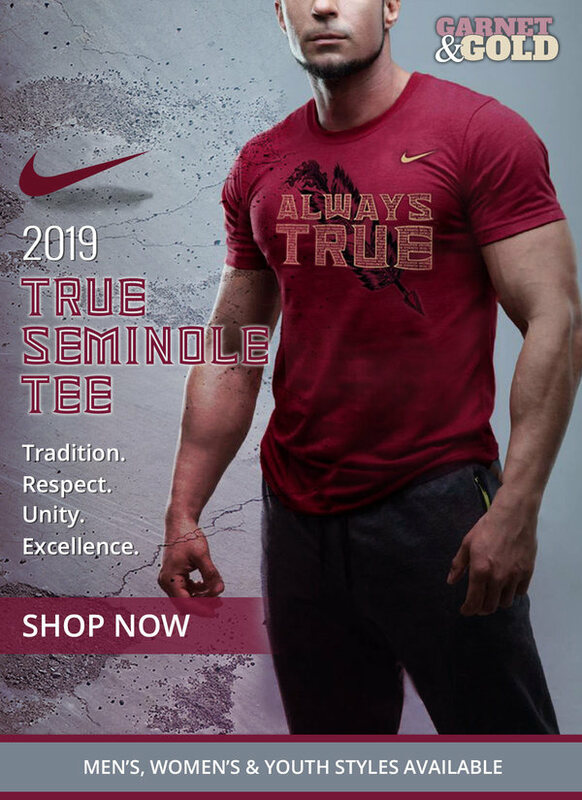 This isn’t like 2012 when the Seminoles graduated six seniors following the school’s first ever ACC Championship and promptly missed the NCAA Tournament for five straight seasons. No. This time Hamilton has crafted a program that is here to stay.